In traditional blogging (for e.g. this post) we share news, thoughts or tips about a topic (google+ in this case) where the main content is in the form of text (may or may not include images, videos, etc). Video blogging a.k.a vLogging is another form of blogging with primarily video as the main content (the reverse of traditional blogging). The primary medium is video (and may optionally include text or images). 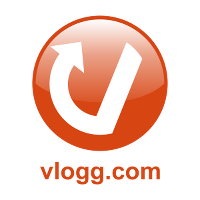 Google+ today introduced an awesome feature on the network that is like video blogging. If you have a webcam in your computer, with a click of a button you can instantly record a video right from your browser and share with your friends or circles. No software or tools to install, no uploading or downloading of video. All taken care seamlessly by Google+. Click Share, that’s it. You’re video is instantly shared, cool huh? No more excuse that you don’t have time to write and share content. Just click on the record video option, record a short video and share “What’s on your mind?” instantly on Google+.